Step-by-step guide on how to create a website by a web developer. Learn how to develop and create a website in a few easy steps. In 2017 its now possible for anyone that wants to learn how to create a website build their own site. We make it easy for everyone to create a beautiful, professional web presence using website builders like Joomla, Drupal, WordPress and Easysite. No coding knowledge needed. There are hundreds of ways to learn how to create a website online. Using website builders, people just like you can create a personal website, create an Ecommerce website, create a blog or create a business website in fact you can create any type of website thanks to website platforms like WordPress, Joomla, Drupal and Easysite. They have everything you need to create a fully personalized, high-quality website. We are not like other web site builders that expect you to set-up your new website. They tell you how to create a website and then send you to the hosting company and expect you to sort it out. This can be very confusing and frustrating. If you create a website with us we set it all up for FREE. 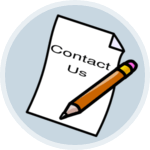 Once you contact us we ask you a few questions about building a website for you. 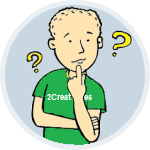 Next we tell you about your hosting options (including prices), which are one, two or three years. The more years you buy the cheaper it will be. You decide which hosting option is best for you and make a payment. After you purchased your hosting and registered your FREE domain the hosting company will send you a bunch of emails to set-up your site. Forward them to us, we will download and install WordPress with the standard theme onto your hosting account for free. You then change your passwords. We take the hassle out of learning how to create a website and setting it all up. If you ask a web development company to create and publish a website it could cost you a few hundred dollars. If you want to save money you could try and create your very own website but that means finding a good hosting company. Registering a domain, downloading and installing a web site builder like Joomla, Drupal or WordPress onto your hosting account. Pointing your domain at your site and lots more. Get something wrong and it won’t work. We will create your site the correct way for free. What if you could get free advice on how to create a website and your new site set-up for free with the standard WordPress theme. (Does not include adding your content). The only thing you would have to pay for was hosting. We can add a domain you already own or we’ll give you a free domain when you purchase your hosting. To get started all you need to do is contact us. Tell us a little about the type of website you would like us to create. The only payment you need to make is for your hosting. You have three options to select one, two, or three years. There is also a full money back guarantee from the hosting company. Once payment is received for your hosting, we start to create a website with WordPress for free. When we create a WordPress website it comes with the standard WordPress theme. You can change the WordPress theme to a design that suits your business, or ask us for a quote to create a custom design. People create their website with standard themes. Be unique why not let us create a responsive design for you. We will set-up your site free. Why? Because we make a few dollars from the hosting company when you create a website using them. This is paid by the hosting company not you. Its our affiliate commission for new clients that sign up and create a website and use their hosting. We would love to help you create your own website. One of the first things you need to think about when you create a website is what the domain name will be. If you already have a business and are thinking of making a website for your business the domain name should be the same as the business. If you are learning how to make a website from scratch you must give careful consideration to the domain name you are going to choose. It should be as short as possible. People should be able to tell what the site is about just by reading the domain name. This website is about web development showing people how to create a website that’s why the domain is 2CreateAWebsites it has the words create a website and people will know its about learning how to create a website. Where do I get a domain name from? You can get a domain from a domain registrar like GoDaddy. The hosting provider that we use to make a website for you gives a free domain when signing up. So if you don’t already have a domain you could take advantage of the free offer. If you already own your own domain and would like us just to create your website that’s easily done as well. We can tell you how to point your domain at your site. Your domain name is important. We’ll need to know what domain name you would like to use before we start to make a website and if you would like to use the FREE domain name option that’s included with the hosting service we recommend. We can also use a domain name you already own, or register a new domain with a domain registrar of your choice. #1 Will people remember it? Catchy short domain names are a lot easier to remember. If its to long, spelled in a funny way, has hyphens between the words, uses numbers instead of letters, may make it harder for people to remember. #2 Is it brandable? In other words: Relevant. Unique. Memorable. Credible. Brief, and User-friendly. #3 Social media. Make sure the name you choose is also available on all the main social media accounts. Hosting plays a vital role in your site performance. I would not use free hosting or cheap hosting, nor should you. You need hosting that’s fast and reliable with a helpful support team that are available 24/7 and that’s what you get when you sign up to the hosting we recommend and use for this site and other sites we develop. When you create a website using WordPress the files created by WordPress need to be stored on banks of computers that are connected to the internet. These computers are normally owned by a hosting service. You can rent space so to speak from the hosting company for a few dollars a month. When someone visits your site those stored files can be see in the form of web pages. Just like any business there are good and bad hosting companies. Stay away from companies that offer free web hosting or cheap web hosting. The only reason its cheap is because they cram as many websites as they can onto one server. As a result the hosting will be slow. This means your web pages will load slow and your site will perform poorly. Use your FREE domain and install your website. Click the “Install Now” button and get access to your new WordPress website. Now that WordPress has been downloaded and installed on your hosting account with the standard theme you will be able to login and start to create a website by adding images, videos, and content. The best part is that you do it all yourself and its free, no paying the web designer or web design company, you are the web developer! This is the part you are going to enjoy. The fun part. Create the look and feel of your new site. There are hundreds if not thousands of amazing professionally responsive web design themes for you to create and customize your site, giving it the look and feel you want. If you are not sure how, type in: http://yoursite.com/wp-admin (replace “yoursite” with your domain). Log in to your dashboard, look on the left side bar for “Appearance”, then click “Themes”. You will have over 1500 free themes to choose from. Take your time browsing all the free themes. Some really look professional and are designed well. Its even possible to search for specific keywords and/or use filters to find themes that suit your style. Responsive design themes would be best, as they adjust depending what device they are viewed on. This means that when you create a website it will look great on computers, mobile devices, iPads and any other device its viewed on. After you find the theme you think you would like to use, you can install it by clicking “Install” followed by “Activate”. The best part is even if you have content on your site changing themes won’t delete your previous posts, pages or content. Change your theme when ever you like and as often as you want. Now click add new, you’ll find a HTML editor like what you’ve maybe seen in Microsoft Word. Add text, images and more to create the page you want, then click save when you’re done. It’s best to preview your page by clicking the preview button. Once your happy and ready to publish the page, press publish and the page will be live on the internet. We have lots more articles on setting up WordPress for you to read. Includes free domain and adding the content for 5 pages and the design. Get your 5 Page website. Or get a quote to create a website. Click on the above link and we will get straight back to you on the best way to create your website. Using a free trial website builder you can for a certain amount of days create a free website to see if its right for you. All the features are available. Its great to create websites this way as you can try before you buy. Do not confuse this with a free site builder where you create a website free and then need to upgrade to get more features on the free site builder. A free trial website builder can be used to start creating a website as you can use all the features and when the trial period runs out you can pay monthly or simply leave it to cancel itself out. Everything that you need to create websites online is included. Create a website with Easysite and see for yourself how easy it is to create a website with. If you are thinking of creating a website for your business and have no coding knowledge or web development experience, you should sign up for free and try Easysites free trial website builder. Easysite helps people create their own website without having to learn code. It’s probably the easiest platform I’ve ever worked with, but it’s flexible enough to suit everyone from small business owners, bloggers, and freelancers to people wanting to create small or large online stores. Easysite is a content management system (or website building platform) its a user-friendly platform for creating websites and managing your own online content. To start creating your website with Easysite. Fill in your name, email address, phone number and choose a unique password. Press the get started button. No credit or bank card is needed for the free 30 day trial. You get to use all the features the free trial website builder has, just like a paying customer. This gives you a good idea if Easysite is right for you as you get to try create your site before you buy. After the 30 days make a payment or your site will be canceled. (You will get a reminder by email before your site is canceled). Free site builders start of free. But as you require more features you need to upgrade. Each upgrade means the monthly payment increases. So if you are thinking of using a free site builder because you can create a free website think again, you cannot create a professional website unless you upgrade. However if you use a free trial website builder like Easysite there is no upgrade. All the features are available for the price you pay. Very easy to use. If you have used Microsoft word you will be able to use Easysite to create and develop your own blog or site. Any business, old or new will have to create an online presence eventually. They will have to create a website, a social media account, or another online footprint to keep up with their competition. When you make a website using Easysite you get a free domain, fast reliable hosting, easy to use website building software, shopping cart software and top level support, making it the ideal way to get an online presence. Making it the ideal solution to building your online presence. A few years ago, only web designers that new how to write HTML and CSS codes could create website and put anything online. They were making loads of money when they created a website as only they new how to code and make a website. Most people could not afford to have a personal website or business website. Anyone, even you, can create an online website presence easily and quickly – without knowing how to code a website. 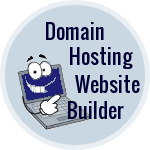 Thanks to DIY website builders that let you create and publish your own website. You can sign up and use a DIY website builder for a few dollars a month and start uploading text, images, slideshows, or videos into an editor, and publish your own website for the world to see. If you are thinking of publishing a website we would like to help. Contact us to set-up your new WordPress website for FREE or for some friendly advice on the best way to create a website.